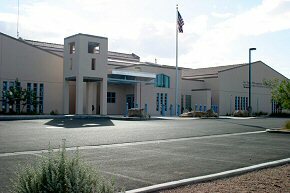 Southeast Area Command is located at 3675 E. Harmon Avenue, at Pearl and Harmon. The Southeast Area Command's commanding officer is Captain Dave O'Leary. The Southeast Area Command is staffed by 147 police officers, 16 sergeants, four lieutenants, including nine full-time, five part-time and two volunteers. Southeast Area Command office hours are Monday through Friday 9am - 5pm., Closed on weekends.